Autumn Lodge provides a unique care service for clients with Dementia from the young 50+ to 100+ years of age. Our long-established care team of Managers, Care Deputies and care staff have specialist Dementia training and experience which enables them to provide a service dedicated to individual assessed care needs. Our Care Manager personally writes our plans of care; they are designed to promote the independence of each individual, and these care plans are delivered to each client in a caring and sensitive manner. All care staff follow these detailed guidelines to offer maximum care to the individual. 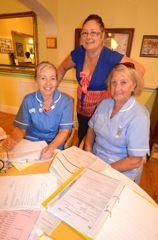 The home actively encourages relatives to be part of the care planning and care plan reviews wherever possible. Incontinency is no problem. When the time comes, our team discreetly care . Autumn Lodge has an extensive training programe. We utilise the local government courses running in Brighton & Hove. 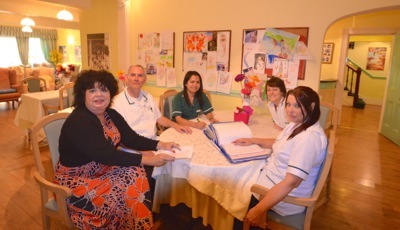 While Autumn Lodge is not a nursing home, we have very strong links with local Doctors and the full support of their District Nurse Teams who visit every day if required thus enabling us to provide maximum support if and when the care needs increase. This ensures the best possible service 24 hours a day, 365 days a year. Autumn Lodge’s philosophy is to encourage daily exercises and mobility whenever possible, whether it be a walk down to the beach, armchair ball games or a dance to music from any of our regular entertainers. 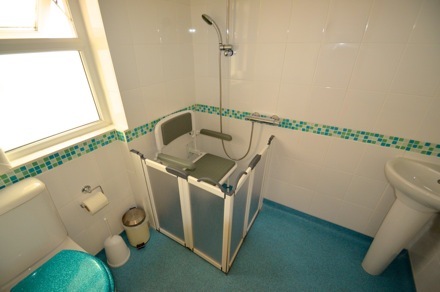 If a Resident's mobility decreases, we can provide more accessible accommodation and our ground floor rooms are fitted with a movable lifting electric hoist to safeguard both Resident and staff while transferring from bed or toilet. 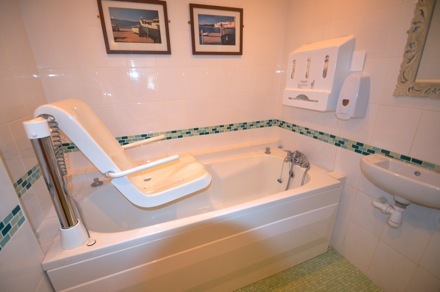 We provide many lifting aids and electric bathing/standing portable equipment allowing us to support Residents with increased mobility needs, removing the need for a disruptive move in their twilight years. Autumn Lodge will ensure to continue to provide the safe and secure environment that our Residents call home.